This is my fourth grind - got it in August of 2014, to keep at work (it replaced the Hario Mini that I sent to a friend). This thing is exactly like the bigger Porlex, but shorter (and has a black silicone band), so the review will sound familiar. Fits nicely in your hand, but this thing is TINY. It holds no more than about 2 TBSP of beans, and really is meant to make a single cup. Black silicone band includes a little loop to hold the handle when it's not in use, but I found it a hassle. Like many small grinders, it is a little awkward to grind with it. It's short body makes it more awkward than the bigger Porlex. Only slightly-better-than average grind consistency, and given it's price point ($35-$65 depending on the direction the wind is blowing, but usually around $45 or $50), I'd really like it to be better. This is my current work grinder, except that since I'm currently working from home, it's sitting unused in a box of office supplies. 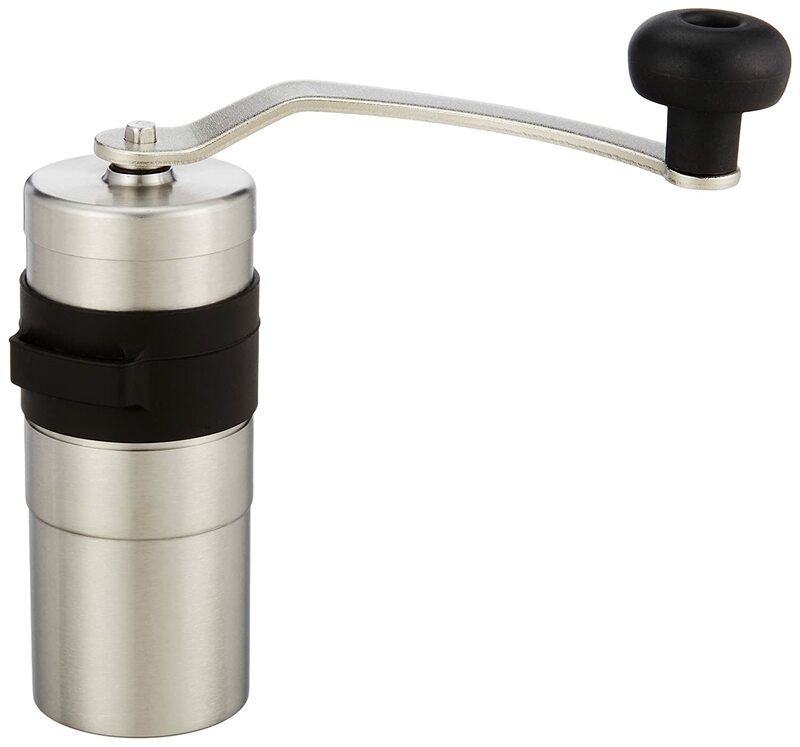 It really is a great little grinder (with an emphasis on little). Oh, and Amazon carries some replacement parts.